Nervous system. Computer artwork showing the principal nerve pathways of the human body. The brain (top centre) and spinal cord (down centre) comprise the central nervous system (CNS). 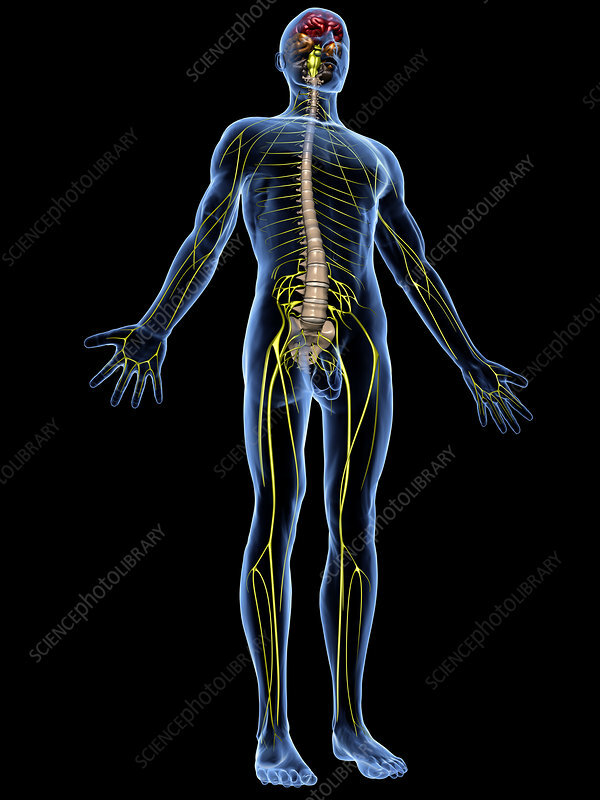 Spinal nerves extend from the spinal cord to every part of the body, forming the peripheral nervous system (PNS). The PNS collects information from the body and relays it to the CNS for processing. The CNS then sends appropriate response signals to the PNS.